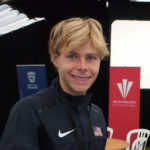 Tayte Pollmann’s articles are supported by American Trail Running Association corporate member Nike Trail Running. You can follow Tayte’s adventures on Facebook, Twitter and Instagram. (Above photo by Peter Maksimow). Trail running camps offer a great introduction into trail running for beginners and provide valuable skills for those more experienced in the sport. Camps offer guidance from accredited coaches or professional athletes and vary in size and length. A typical camp welcomes 10 to 20 people, and will last several days to one week. 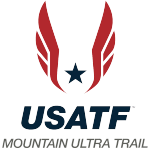 May 14-19, I will be traveling to Estes Park, CO, to assist with with the Active at Altitude Spring Trail Running Camp. This camp offers beautiful views of Rocky Mountain National Park, expert coaching, group runs, form workshops, good food, yoga and mental and physical training. In anticipation of my travel to this camp, I’m sharing my tips for the best reasons to attend a trail running camp. Trails in Rocky Mountain National Park in Estes Park, CO. Photo by Richard Bolt. Trail running camps can be a great way to enjoy and explore new locales. Often held in beautiful mountainous locations, camps cater to a runner’s desire to expand their trail running portfolio to include a variety of terrain and trail types from single track to double track, rocky ascents and descents. 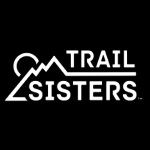 Camps are held in almost every famous mountain range including the Sierra Nevadas, Rockies, Appalachians, or overseas in the Alps or Dolomites.Trail camps provide an excellent way to explore these places by offering the guidance of experienced trail runners to lead you through the location’s best trails. Runners don’t have to worry about splitting their time between training and exploring new places and instead do both together. Camps attract participants from all over the country and internationally. This allows you to make meaningful connections with people outside your local running community. Camps are usually no more than 10-20 people and this small group environment is conducive to making friends. Most camps offer advice on running techniques from experienced coaches or professional runners. You could learn valuable tips on how to improve essential trail running skills, such as running fast on technical downhills, power hiking properly, or quickening your cadence. These tips are great for beginners or for more experienced trail runners who could use a refresher. Trail camps are great environments to train for races. They allow you to run almost every day and have all the time you need to think about training and recovering properly. Some camps require runners to run more than others, so look for the camp that best suits your training needs. Talk with the camp director if you’re unsure about what level of running experience is required for the camp. The author scouting trails in San Luis Obispo, CA. Photo by Richard Bolt. If you’d like to join me in Estes Park for the Active at Altitude Spring Trail Running Camp there is currently one spot left! See the link below for details. Each day from the camp, I will be posting on social media to share what I learn. Be sure to me follow me even if you can’t make it to camp. To see a list of over 120 other upcoming trail running camps, select “running camp” from the “type” drop down in our advanced search on our race calendar or just click the link HERE. 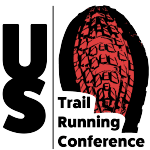 To learn more about our trail running camp standards, click the link HERE.